I pulled out the rotary cutter yesterday. Why? I was feeling kind. Not that feeling kind is a rarity for me, but volunteering to do "domestic" tasks is definitely a rarity! :) Like a good blogger, I had my camera at the ready to capture my excitement over this mundane task. 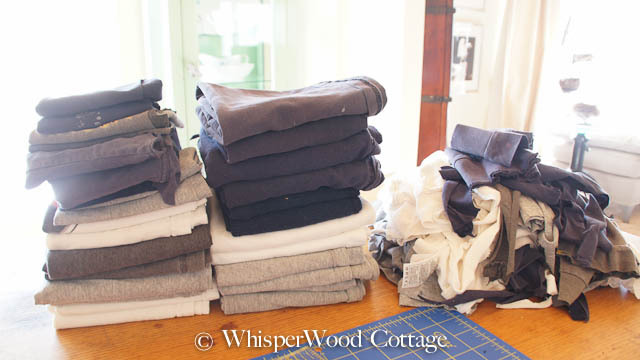 Ron had a stack of t-shirts that he was planning to turn into garage rags. He has always handled this task himself, but I thought I'd surprise him by doing it for him! So, of course, my plan was to figure out the most efficient way to take care of the task. After all, just because I'm volunteering to do it doesn't mean the task has to last longer than necessary! I've seen my mom use her rotary cutter for cutting quilt squares, so I thought I'd see how it worked for this process. After a trial and error process, here's the most efficient way I came up with. 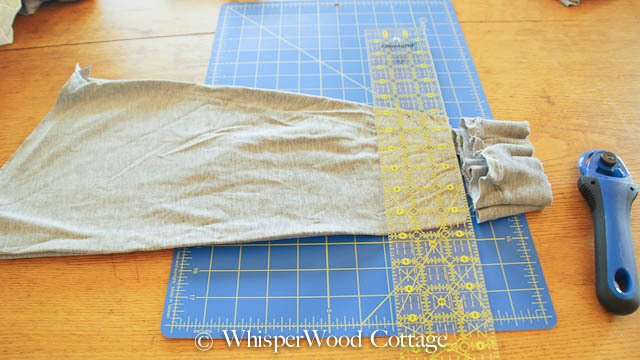 Fold the t-shirt in half (sleeve to sleeve) and make sure the outside edges are lined up evenly. 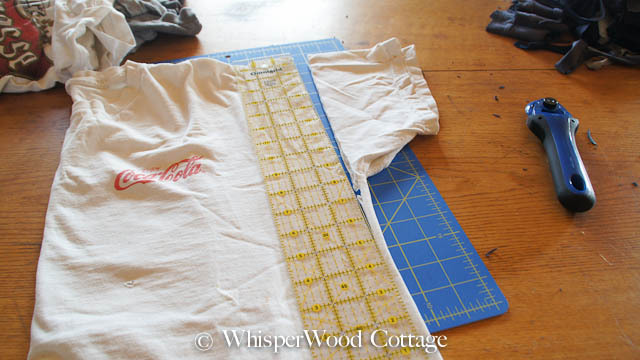 Line up the straight edge ruler parallel to the outside edges of the t-shirt and across the sleeve. 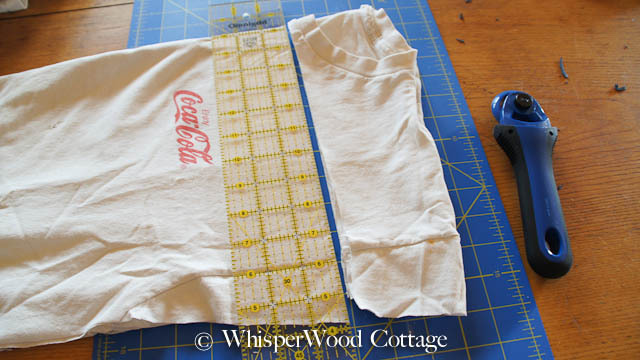 Leave about 1/4 inch of fabric between the edge of the straight edge and edge of the t-shirt. 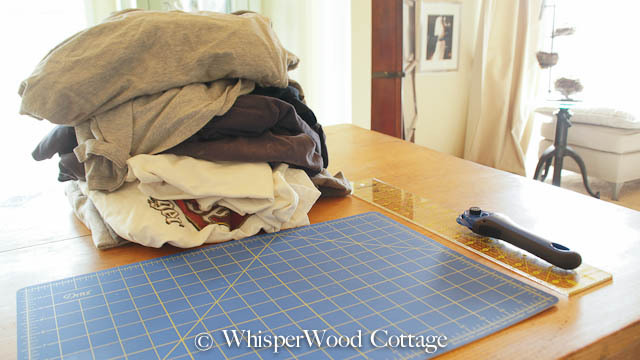 Use the rotary cutter to cut from the middle of the t-shirt up through the sleeve. Move the straight edge ruler down and cut the rest of the t-shirt to the bottom. Rotate the t-shirt (still folded) 90 degrees. keeping it 90 degrees to where the sleeve used to be. Use the rotary cutter to cut away. That will leave you with two squares of fabric. The larger the t-shirt, the larger the squares will be. For the main part of the shirt, follow the same instruction above for short-sleeved t-shirts. Then follow the instruction below for the long sleeves. 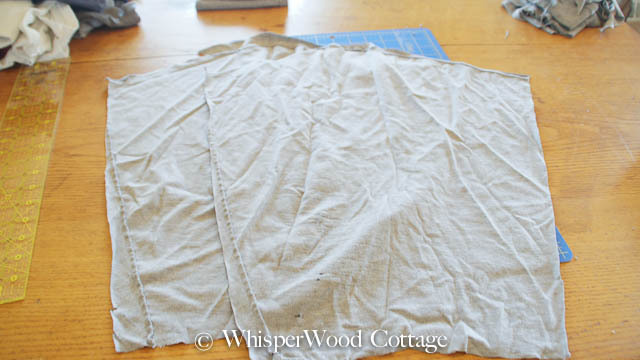 Stack one sleeve on top of the other and place them on the cutting mat as shown. Align the straight edge ruler about 1/4 inch from the cuff seam. 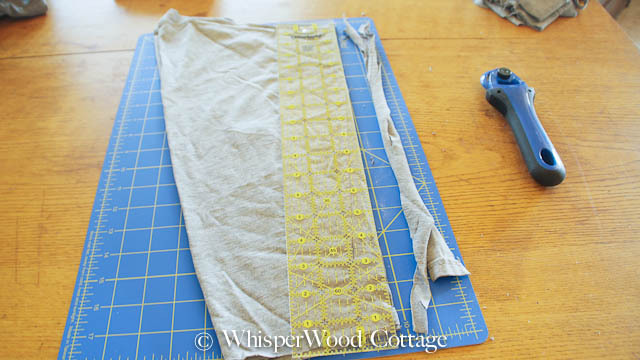 Use the rotary cutter to cut the cuffs away. Keeping the sleeves stacked, place the seemed edges of the sleeves to the right (if right-handed). 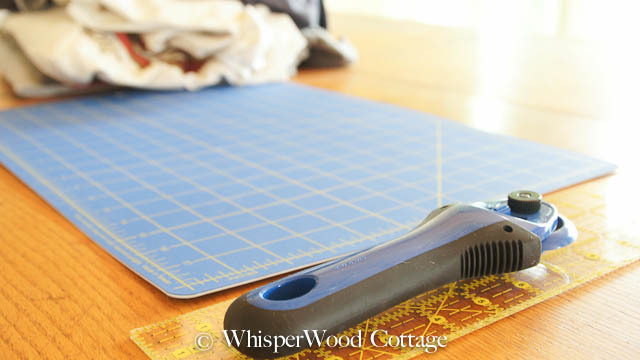 Align the straight edge ruler about 1/4 inch away from the seamed edges. Trim with the rotary cutter. That will give you good sized, but somewhat oddly shaped, rags. Do y'all make rags from old t-shirts? What's your system? Oh, yes...old t-shirt are the best, and the older the better because there is less lint. My method of madness is actually to start a cut then tear. It ends up being a pile of odd shaped rags but since they're one-time use, usually, I don't mind. I just ripped up a huge pile from my boys that were too worn for giving away. I cut up everything that can be used. I quilt so rotary cutting is easiest! 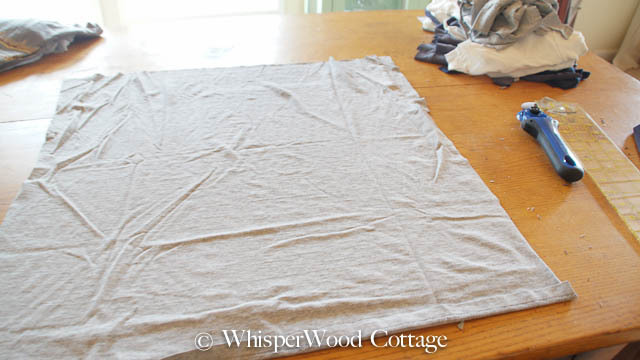 Flannel makes good rags for polishing. 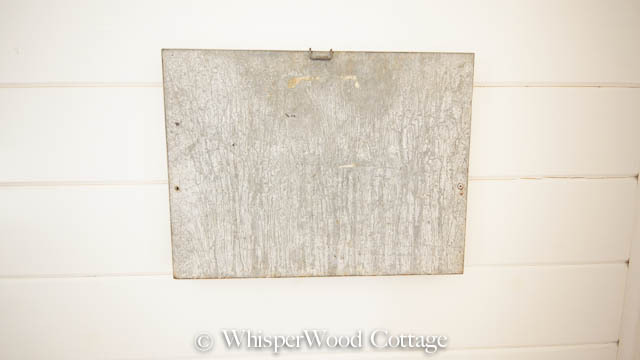 Next post maybe a sign or chalkboard?? Now following on linky follower.